The significance of the sun is on the rise at Sunset Hills Vineyard. The Loudoun County business is leading the wine industry's efforts in sustainability with its 245 solar panels. WASHINGTON — The significance of the sun is on the rise at Sunset Hills Vineyard. 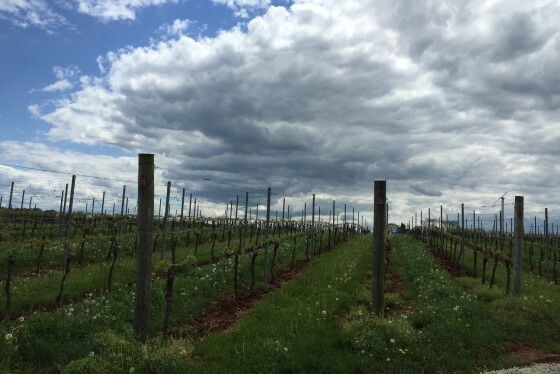 Not only does it supply the soil with the nutrients necessary to sprout the vines that grow the grapes, but at the Loudoun County farm, the sun also turns those grapes into wine. Sunset Hills is home to 245 solar panels — the largest solar installation in Loudoun County to date. Owner Mike Canney installed the first 150 panels in 2010 as a way to help preserve his 19th century Purcellville, Virginia estate. “We wanted to have as little of an impact on the property as we could,” says Canney, who added the remaining 95 panels in 2014. 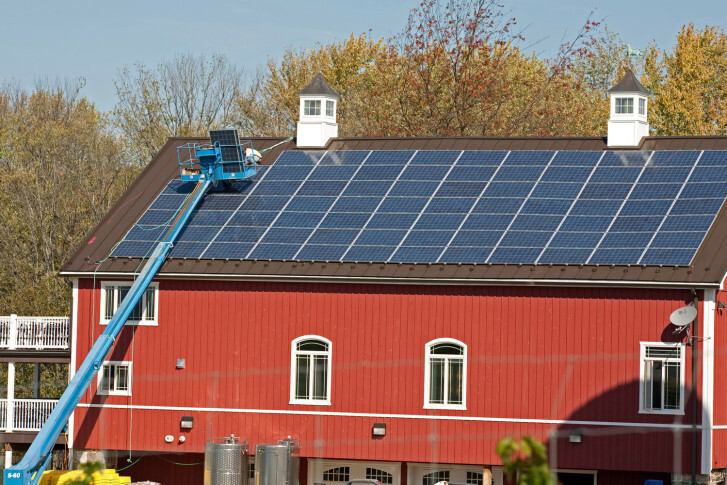 Now, solar panels sit atop five buildings at the vineyard — a popular weekend destination for many Washingtonians. In the past four years, Sunset Hills has generated about 280 million watts of electricity, which Canney says is enough to power about 10 houses annually. And that’s not all. “Since we’ve turned the system on, it’s prevented about 200 tons of carbon from getting in the atmosphere,” Canney adds. It takes a lot of energy to run a winery. Electricity powers the pressers that extract juice from crushed grapes, as well as the chillers used in the winemaking process. It’s also needed to keep the wine cool in the barrel room and the lights on in the tasting room. Before the panels, Canney says Sunset Hills averaged an electric bill of $1,000 a month. Now, the 250-acre operation only receives a bill four months out of the year. “We only need to buy electricity when we get into the summertime and we start turning on air conditioners and then once we get into the harvest season,” says Canney, who makes 13 different varieties of wine at the vineyard. The total cost of the solar-panel installation was about $250,000 — hardly a petite price for a small business. But Canney says a large percentage was refunded almost immediately, thanks to a federal tax benefit, and the rest will pay for itself in the long-run. The panels are not only paying off when it comes to saving money, they’re also helping grow consumer interest. Canney says the concept of making wine powered by the sun resonates with his customers. “They like feeling that the values that the winery has for conservation and clean power, it really resonates with individuals. They have the same interest in taking care of the planet and not wasting things unnecessarily,” he says. Sunset Hills is leading the charge when it comes to sustainability in Virginia’s wine industry, and others are following. Many are making efforts to reduce water and energy consumption, or are building tasting rooms that meet the US Green Building Council’s certification standards — and Canney expects the movement will continue to grow.